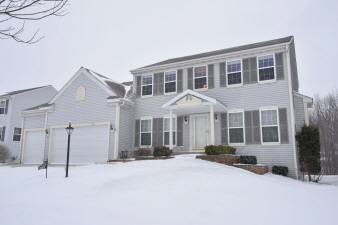 Outstanding Riverwoods Colonial in superb condition! Open floor plan. High ceilings. Wood floors. Large kitchen with island overlooks the family room that features a gas fireplace. First floor den could be used as a fifth bedroom. Huge dramatic master bedroom and bath. The lower level boasts a rec room, media room and fourth full bathroom. Three and a half car attached garage.